Users that have been created in an Active Directory should be imported selectively into the DocuWare system. There should be a selective synchronization to improve the performance compared to synchronizing the whole Active Directory. The performance of user synchronization can be significantly improved by using the direct LDAP access. Accessing the Active Directory with LDAP is a beneficial approach especially while working with a complex user rights structure. Due to the possibilities given by LDAP an access can be limited to specific groups which prevent searching the whole Active Directory tree structure. Before you configure a new user synchronization workflow for Active Directory, you have to create a LDAP access to the Active Directory. In this DocuWare Knowledge Base Article we would like to help you to configure a LDAP access to Active Directory. 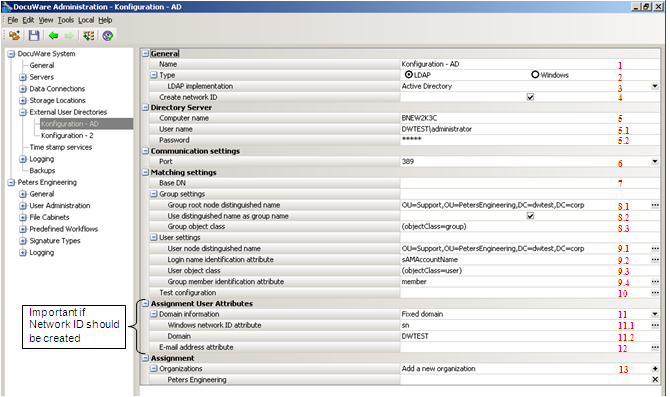 9.1 = insert DN of the LDAP container which includes the DocuWare users which should be synchronized. 9.4 = insert attribut "member"
10 = testing configuration by clicking on '...' (see fig. 2). 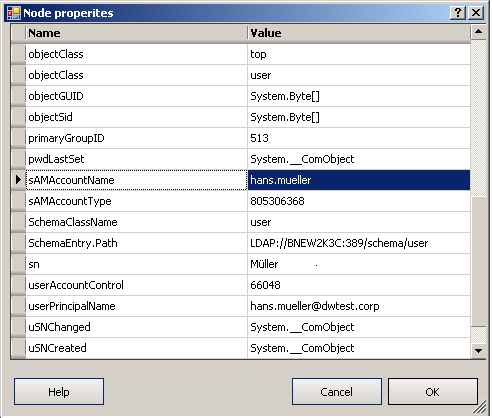 11.1 = Windows logon name attribute (in Active Directory implementations: "sAMAccountName"). 12 = choose E-Mail adresse attribute. The integrated LDAP browser allows you to choose the node, where you can select all groups and users you want to import, after the configuration of the LDAP access. 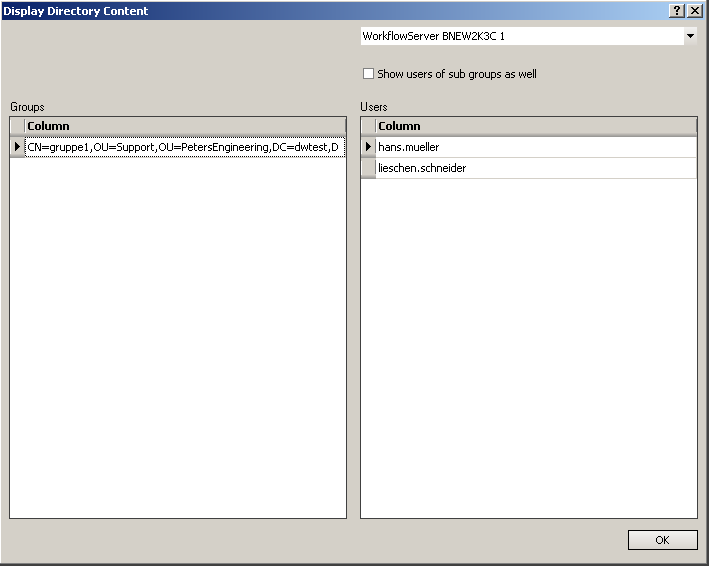 The attributes which have to be entered during the configuration can be selected via clicking at the end of the line. A final test of the configuration shows you all groups and users which will be synchronized.